Apologies for not having posted in a while, but my career as an amateur sporting writer has taken off with surprising speed, and that, along with the furniture making business, has kept me rather busy! I cannot thank Shawn, Andy and Walter enough for their words of encouragement, as without their ushering I probably wouldn’t have written a word. Things in the Scottish highlands are going well, apart from an uncommon deluge of rain that we are experiencing at the moment. The wet weather has rather snookered us on the duck shooting front, as just about every field is flooded, and the mallard and teal are scattered far and wide. Prior to this, we had been getting around 30 to 40 duck flighting in to our pond at dusk, affording us wonderful sport! 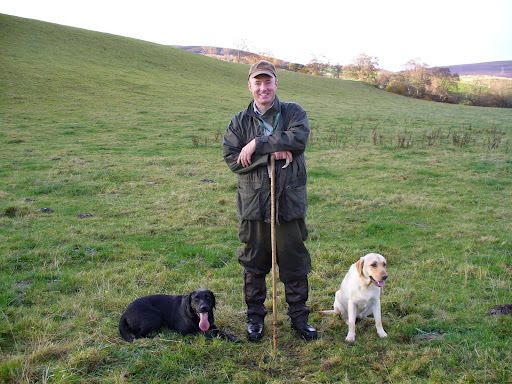 Willow and Rowan our Lab litter sisters are now 18 months of age, and have made their entry into the shooting field. 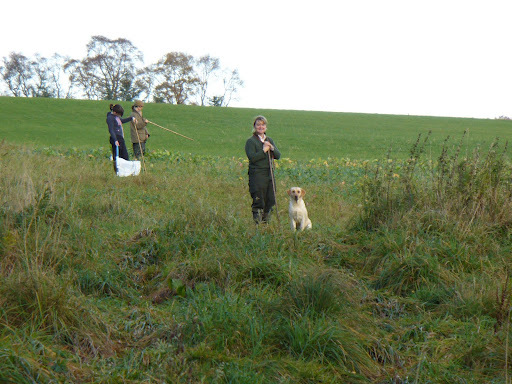 Last Saturday saw them both out flushing and retrieving on their first big pheasant day. A team of 8 local guns finished with a total of 76 pheasants, 1 woodcock, ( we saw 5, which is promising for October) and a pigeon. Willow made 2 super retrieves, and both dogs flushed countless birds from cover. Rowan has been out duck shooting with me, and last week retrieved a wounded mallard from the pond, entirely unassisted, and in total darkness! How do they do it? 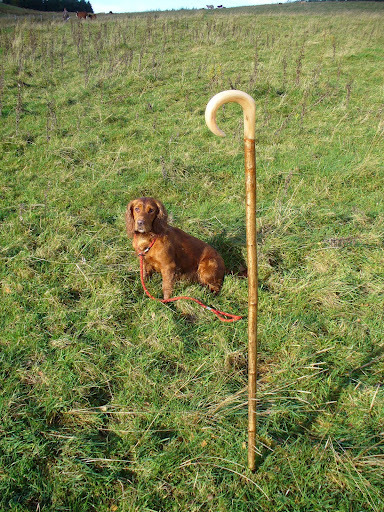 Hazel, the Mighty atom, waiting for the off. Tomorrow we are out on another big driven day, on an estate where birds are driven over the Salmon fisher’s dream, the river Spey. This kind of work calls for good swimmers, and the labs will be in their element. 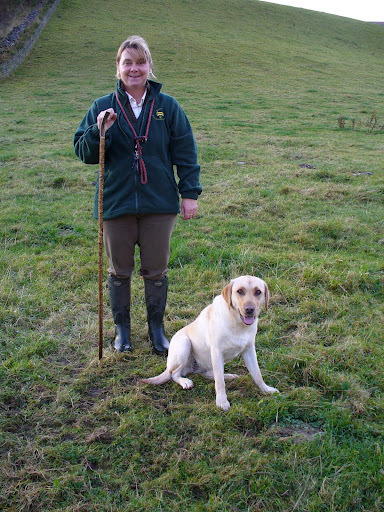 Emma and Willow standing behind the guns on the 3rd drive, waiting to hoover up the fallen birds. Me, soaked through after a heavy shower. Wet, but still smiling. More sporting photos and snippets to come over the following months. Previous Post >William G. Tapply 1940-2009: Loss of a Great Outdoor Writer! Just keep writing my friend. It gets easier as you do it!